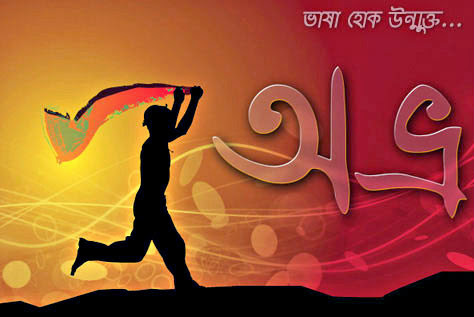 If you are unable to see Bangla, go to the link below and download Avro Soft & Bangla Fonts! After downloading and installing Avro & Fonts, you’ll able to see Bangla in your computer. Enjoy read and write Bangla everywhere in your computer & internet areas. After install Avro, the Avro tool-bar will be appeared at the top of your computer screen. Don’t forget to install Fonts. Just click on the ‘English’ button of that toolbar or press F12 button of your keyboard, then it will be converting to ‘Bangla’ button. Now you are about to write Bangla in your computer (If you don’t know Bangla Key Board typing, select Avro Phonetic Keyboard to type English and see Bangla)! It is very easy, please see all options of Avro Software, which is interesting & useful. To get best view of Bangla font, I recommend, the Mozilla Firefox browser is the best.